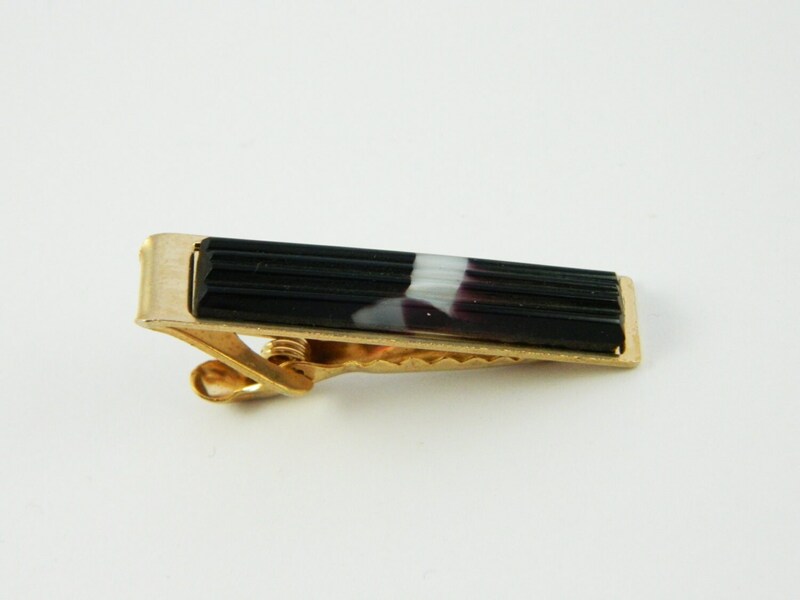 Gold Tie Clip with with Faceted Natural Dark Amethyst Bar. 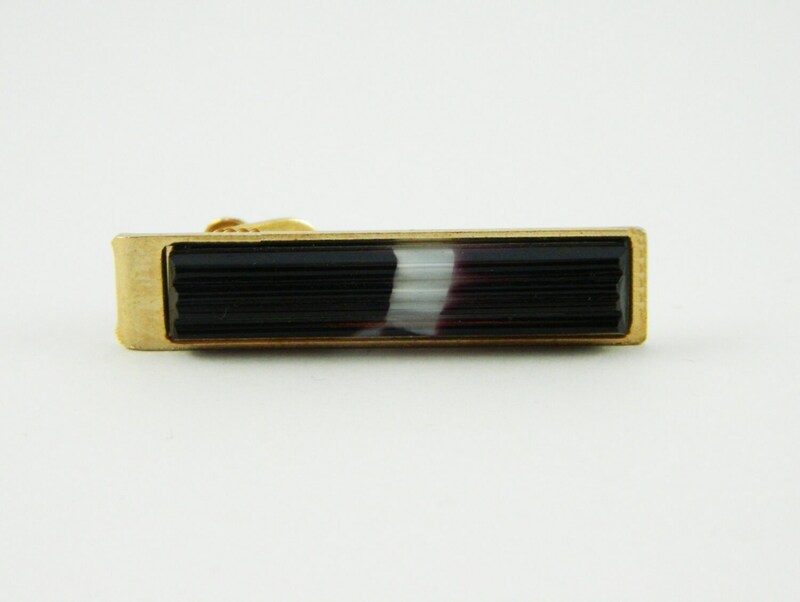 Short Tie Clip. Perfect for Skinny Ties. 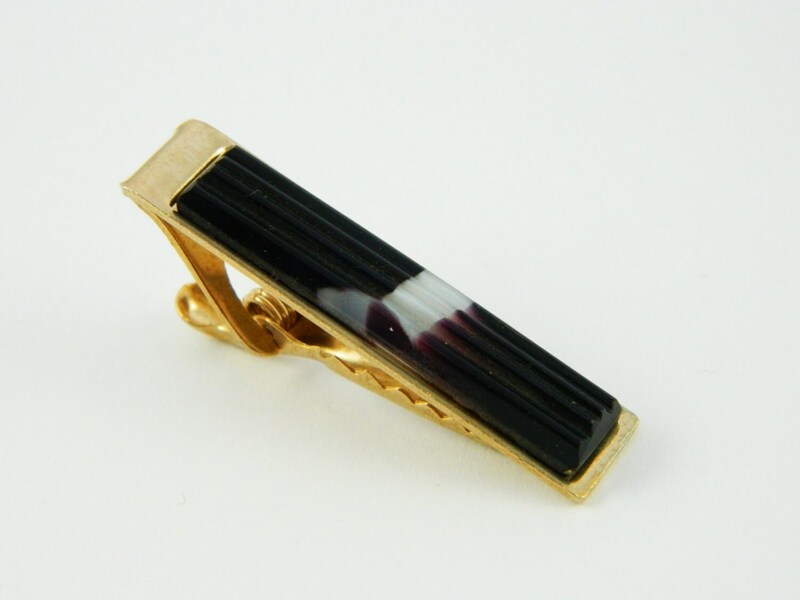 Material: Gold Plated Brass and Amethyst.